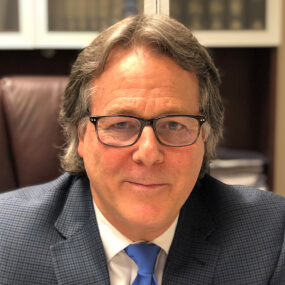 Joseph Gulino is a senior trial attorney responsible for the trial of significant tort cases, including all facets of personal injury as well as construction accidents, Product Liability, motor vehicle including trucking, malicious prosecution, false arrest and General Liability. Mr. Gulino has tried cases in all the contiguous counties of New York City and its Federal Courts. Oftentimes he is retained by clients to substitute as trial counsel after other firms have handled a matter due to its complexity, but many times because of the reputation of his adversaries. Called upon to lecture on trial practice for The New York State Bar Association, Mr. Gulino has also conducted seminars for clients on various Appealsects of New York tort law. He voluntarily counseled through Trial Lawyers Care, families of victims of the September 11th attacks.